Patients and visitors who come to our health system for care expect and deserve a restful, healing environment. That’s why initiatives to improve hospital quietness have been in place here for years. Despite our efforts, quietness in and around patient rooms has been our health system’s lowest-rated item since we began measuring inpatient satisfaction through the Hospital Consumer Assessment of Healthcare Providers and Systems (HCAHPS) in 2006. 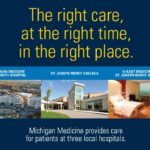 In fact, only 46 percent of our patients said their rooms were always kept quiet at night, lagging behind the state hospital average of 60 percent and the national average of 62 percent. This means creating a quiet environment is our biggest opportunity for improvement. Beginning May 12, we are furthering our commitment to providing the ideal patient care experience to everyone who comes to us for treatment, by expanding quiet hours to all inpatient hospital units. We need your help. 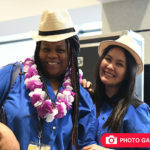 Faculty and staff play a crucial role in ensuring quiet hours across our inpatient areas. We must have a greater sensitivity to promoting a healing environment in inpatient areas at all times, but especially during the times designated as quiet hours. A time dedicated to rest and sleep. Overnight: 9 p.m. – 5 a.m. All inpatient units. Daytime: 1 – 3 p.m. Quiet hours may vary based on your area. Limit hallway conversation and refrain from cell phone use. Decrease volume on cell phones, televisions, radios, pagers and other electronic devices. Set pagers and phones to vibrate when medically appropriate. Work with patients to manage room noise through the use of head phones and ear buds. Open and close doors quietly and close patient room doors when medically appropriate. Dim lights in patient rooms and unit hallways. Coordinate care in order to reduce unnecessary entry into patient rooms during quiet hours. Remind others to use quiet voices and behaviors in the clinical setting. In addition to quiet hours, a variety of amenities and resources are available to every patient at our inpatient facilities to help them rest, including headphones, ear plugs, eye masks and instructions on how to use the “white noise” TV channel 71. Patients, families and visitors will also receive information about our quiet hours and how they can help reduce noise to improve the patient experience. Thank you for your ongoing commitment to improving the “quiet” and overall patient care experience for everyone who comes to us for care. 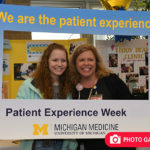 If you have a suggestion about how to contribute to a quiet environment and the ideal patient care experience, contact UMHS Service Excellence at service_excellence@med.umich.edu.